Large and small bore hole wells. Wells cased and sand-packed as needed. Wells developed and chlorinated. Test pumping done. Cement surface seal installed. Licensed in Wyoming for well drilling and pump installation. Over forty years of experience in drilling house, stock, irrigation, or miscellaneous wells to state specifications. 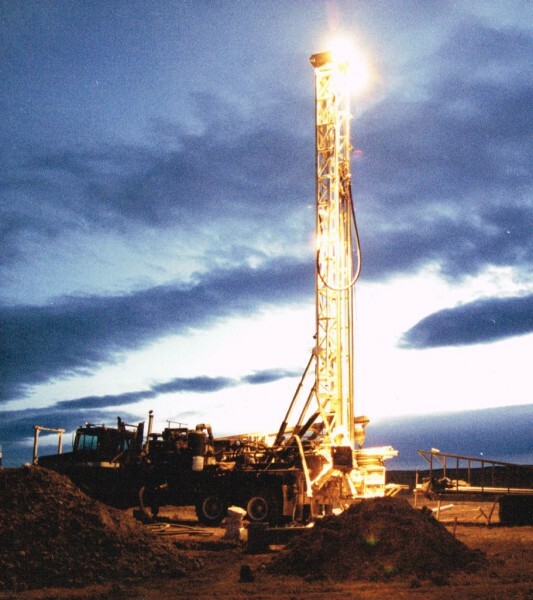 D.C. Drilling LLC is also experienced in drilling for minerals, oil and coalbed methane . We install as well as service many kinds of pumps including but not limited to; Submersible and Large Turbine motors and pumps, electric and solor.